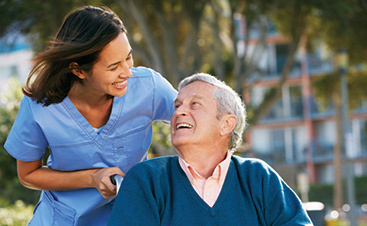 Being a caregiver is a rewarding and difficult job, and while it is still focused on providing medical care to those in need, it’s unique compared to other positions in the industry. Evergreen Home Healthcare has worked tirelessly to ensure that the individuals that are a part of our team are dedicated to the job and a good fit for the position. If you’re considering becoming an in-home healthcare professional or you’re interested in joining our team, today’s blog is for you. 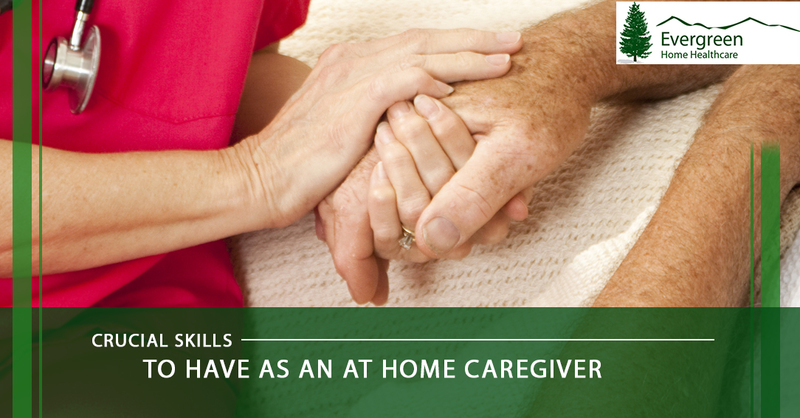 Today we’re going to cover a few of the skillsets that all individuals becoming an in-home care provider should have. Reading this should not only help you determine whether or not you’re a good fit for the job, but it can also provide you with a list of things that you can do to better prepare yourself for this career. One of the strongest skillsets that you’re going to need is communication. As with any position, communication makes up a major part of whether or not you’re successful, and this is no different when talking about being an in-home care professional. 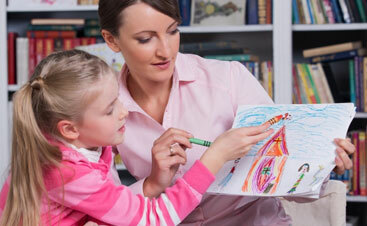 Communication is going to be crucial with the family, the patient and any other medical professionals that you cross. Communication is important for a range of reasons, but the most important is that you’re being welcomed into the home of a patient, and that can be very difficult on them and the family. Being in such a vulnerable state, it’s important that you communicate any daily routines that you have with the patient and their family so that they’re comfortable with what you’re doing, especially at the beginning of your time with a patient. At the end of every day, communication will ensure that you are on the same page with the patient and all other individuals involved with them. This will allow for your bond to become stronger but will also allow for you to do the best job possible. Another skill that is extremely important to have in this role is going to be organization. Throughout your daily routine and in the position overall, organization plays a major part in how successful you can be. Your ability to stay organized with the patient and their routine will ensure that they’re properly taken care of and that the chance of any accidents occurring is at a minimum. While that is extremely important, organization also ensures that you don’t get overly stressed with this position and the work that you’re doing. By being able to nail down a form of organizing your work, you’re able to go to work, be the best professional caregiver you can be, and go home without feeling like you’re in over your head. 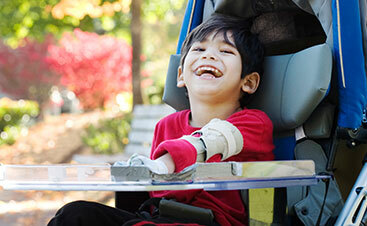 Being in the medical industry, patience is a virtue that you ought to say you have. In fact, it’s so much a part of your job that patience has become one of the skills that we look for in our team members. This job is not an easy one and it definitely has its moments that are challenging enough to push you to the brink. What we like to see in our clients is the ability to see past the moment at hand and work through any frustration or stressors that may be present. Being patient with patients and their families is the only way to provide the absolute best service possible — and that’s the only type of service that we want to provide. The last skill that we’re going to touch on today is multitasking. If you embody the skills that we’ve mentioned above, then the chances of you being able to multitask are high. With a position like in-home caregiving, you’re going to experience all sorts of tasks that need to be done throughout the day and, at times, in the same moment. The most challenging part is that you’re going to be on your own. Being able to multitask, and being able to do so well, can help keep this job fast paced and give you an advantage to the job itself. If you’re interested in becoming an in-home caregiver or simply a part of the Evergreen Home Health Care team, we would be happy to have you! Currently, we are looking to provide countless homes in the Fort Collins, Greeley, Denver, Westminster, and surrounding areas. Learn some more about the employment opportunities that are currently available and reach out to our team when you’re ready to apply.